Sacramento State sophomore infielder Josh Urps, left, prepares to catch the ball as Hornets freshman infielder Keith Torres, back, backs up the throw to second as University of Arizona freshman outfielder Donta Williams, right, slides in safely on Monday, May 14, 2018 at John Smith Field. The Hornets lost to the Wildcats 5-2. 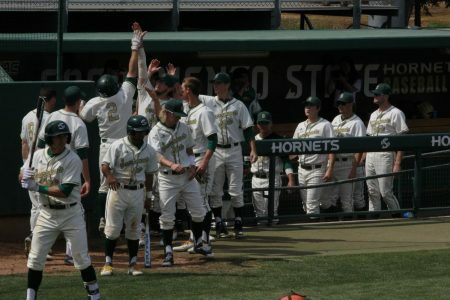 The Sacramento State baseball team lost 5-2 to the University of Arizona on Monday at John Smith Field. 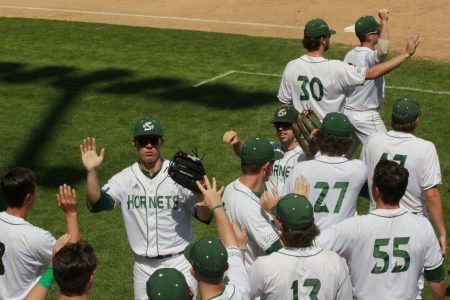 The Hornets (28-23, 14-7 Western Athletic Conference) finish the season with a 4-5 record against the Pac-12 following Monday’s defeat to the Wildcats (32-20, 10-14 Pac-12). 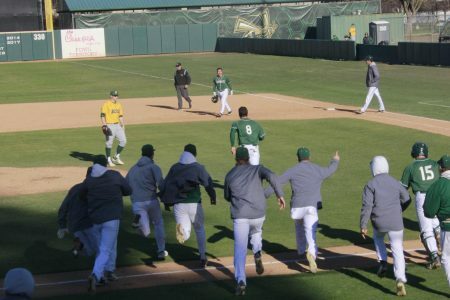 The Wildcats scored all of their runs on three home runs, including two two-run home runs from sophomore shortstop Cameron Cannon and sophomore outfielder Matt Frazier. 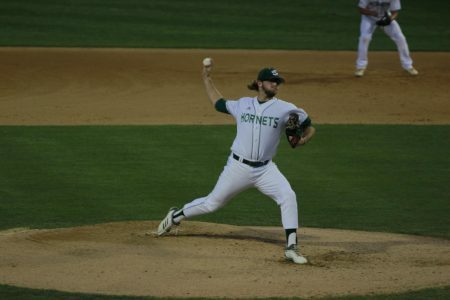 Hornets senior pitcher Ty Fox threw three innings, giving up three runs on four hits and striking out four batters. 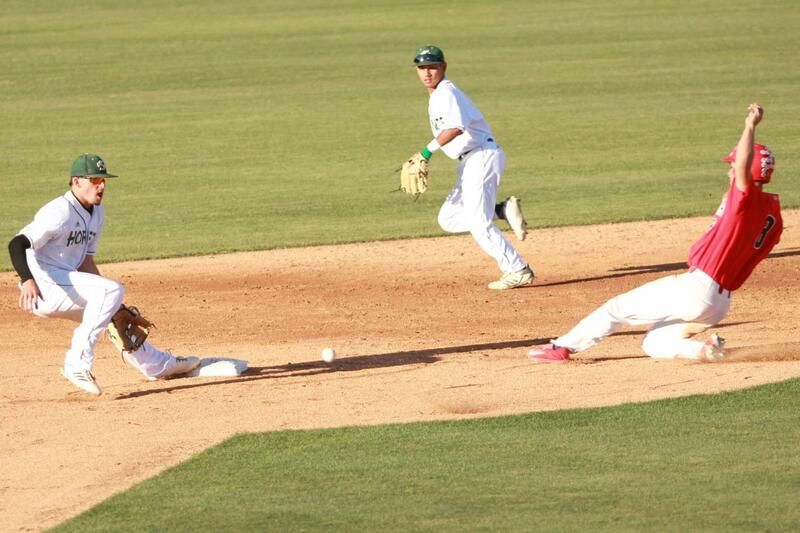 Freshman pitcher Travis Martizia threw one and one-third of an inning, giving up two runs on three hits. 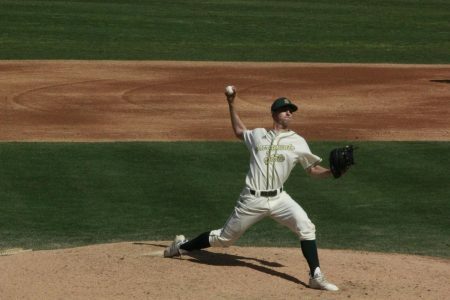 Senior pitcher Austin Ragsdale, freshman pitcher Brady Rodriguez and sophomore Tanner Dalton combined to throw three and one-third shutout innings, giving up no hits and striking out three batters. 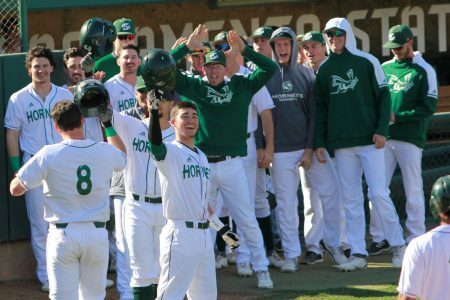 Sophomore outfielder Matt Smith went 1-for-4 with an RBI, while freshman infielder Steven Moretto, who went 2-for-3, added an RBI on a solo home run in the seventh inning. 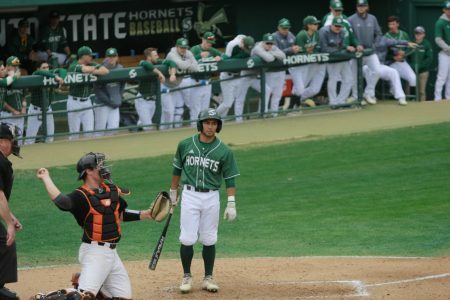 Senior outfielder Ian Dawkins, who was named WAC Hitter of the Week on Monday, went 3-for-4 following a 10-for-13 performance this weekend in the Hornets series lost to Grand Canyon University. 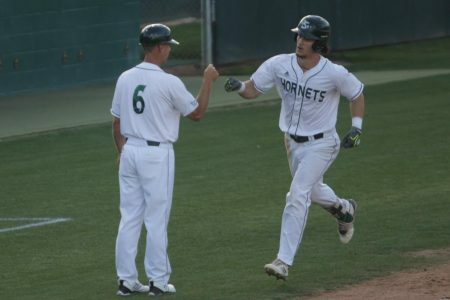 The Hornets finished the series against the Antelopes on Sunday with a 10-2 defeat to lose the series, including committing a season-high four errors. Despite the losses Sunday and Monday, Christiansen said he was proud about how his team was ready to play today. 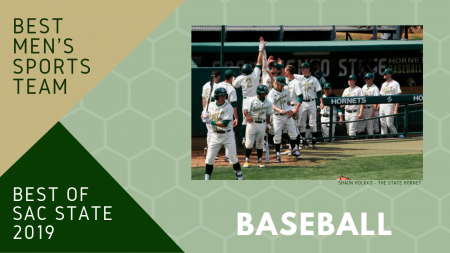 The Hornets finish the regular season Thursday through Saturday against Utah Valley University at John Smith Field. 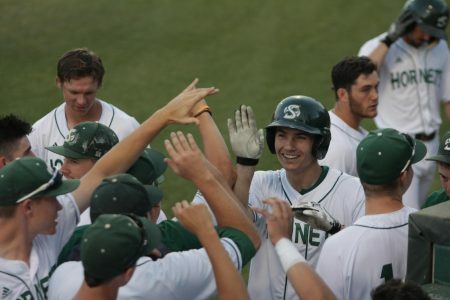 Sac State is one game behind New Mexico State in the WAC standings for the second seed. 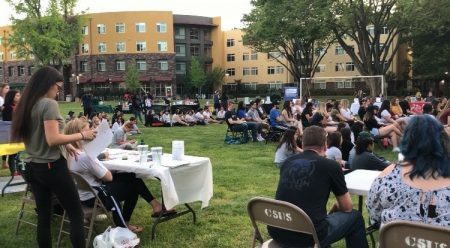 The top two seeds in the WAC will earn a first-round bye in the conference tournament.